In this week’s Torah portion, Terumah, we read וְעָ֥שׂוּ לִ֖י מִקְדָּ֑שׁ וְשָׁכַנְתִּ֖י בְּתוֹכָֽם / “Let them make Me a sanctuary, that I might dwell within them.” (Or “among them.”) The word “I might dwell” is שכנתי / shachanti — the same as the root of the name Shechinah, our mystics’ name for the Divine Presence that dwells with us, within us, among us. Jewish tradition teaches that God is both transcendent (far away and inconceivable) and immanent (indwelling and accessible). Our mystics call the transcendent, far-away part of God the Kadosh Baruch Hu (the Holy One of Blessing). The name they give to the immanent, indwelling aspect of God is Shechinah… and they imagine that She is in galut, in exile, with us here in creation. At other times of trauma over the last year, some of you have asked me: why didn’t God stop that from happening? How could a just God allow such injustice to persist? The only answer I can offer is this: God gave the world over into our hands. Phrased another way: God doesn’t intervene to change the natural world. Not to stop a hurricane, not to prevent an abuser from abusing, not to alter the course of a bullet. Because if S/He did intervene, then we would have to ask: why did God spare this child with cancer but not that one, why did God prevent this shooting but not that one? And it’s on us to make things better. To call Congress, to write letters, to sign petitions, to show up and lobby and protest and demand that our lawmakers create change that will keep our children safer. We don’t have the luxury of falling into despair or feeling as though nothing will ever change. Because if we use our feelings of powerlessness as an excuse not to do anything, then nothing will ever change. And our children need better from us than that. The memories of the seventeen killed in Parkland, Florida this week demand better of us than that. And God needs us to be better than that. Because our hands are God’s hands in the world. The only way to soothe the Shechina’s tears for Her children is to make the world a place of such justice and righteousness that God won’t need to weep with us anymore. In the first line of this week’s Torah portion, God instructs Moshe: tell the people to bring gifts for the construction of the mishkan, the portable sanctuary where God’s presence will dwell. The mishkan requires everyone’s contributions. And building a world redeemed requires everyone’s contributions. Building a world in which school shootings are unimaginable requires everyone’s contributions. Today is Shabbes, our “foretaste of the world to come,” when we strive to live in the “as-if” — as if the world were already redeemed. For today, we rest and rejuvenate as we are able. Tomorrow when the workweek begins again, we dive back into making this world better than it is today. Because our schools need to be sanctuaries: safe places where our children can learn and grow without fear. And our synagogues need to be sanctuaries. And our homes need to be sanctuaries. And the whole earth needs to be a sanctuary: a place where God’s presence dwells with us and within us, and no longer needs to weep. Shavua tov; looking forward to Shabbat Chayei Sarah! 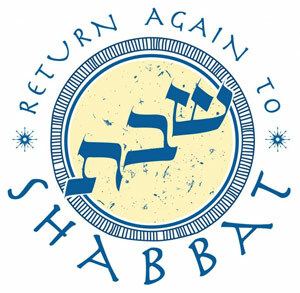 This coming Friday evening is one of our First Friday Shabbats — join us at 6pm for Kabbalat Shabbat (“Welcoming Shabbat”), which will feature joyful song and praise as we let go of the week and welcome Shabbat into our midst. This coming Shabbat morning, services will be led by Rabbi Rachel and we’ll read from parashat Chayyei Sarah (“The Life of Sarah.”) We’ll also celebrate the giving of Hebrew names to the grandchildren of our member Laura Dumouchel. And here’s the URJ’s compilation of commentaries on this week’s Torah portion: Chayei Sarah | URJ. This coming Shabbat, services will be led by Rabbi Lori Shaller, and we’ll read from parashat Vayera. And here’s the URJ’s compilation of commentaries on this week’s Torah portion: Vayeira | URJ.